Dallas, TX – May 24, 2018 Alternet Systems, Inc. (USOTC: ALYI) today announced releasing an online presentation on the company’s website to provide an overview of the company’s current strategy to integrate its portfolio of lithium battery technology into energy solutions to support combat systems. Alternet concentrates defense industry sales efforts on developing partnerships with the approved government contractors that account for more than $250 Billion in annual US defense spending. The narrative from the presentation is included in its entirety below. This presentation was originally scheduled to be released yesterday, but was delayed due to unanticipated schedule conflicts. The United States Military uses a lot of lithium batteries. Do a Google search of “lithium-batteries-military” and you can read for days about the current applications of lithium batteries in the military; research the military is doing into improving upon current lithium battery technology, and multiple contracts signed procuring lithium batteries for the military. The US military spends over $100 million dollars a year on batteries. Now consider that there are 195 countries in the world (at last count) and only about 20 of them does not have a military. That’s a pretty big battery market and as military equipment becomes more electronic and more portable, that battery market is only going to grow. As non-state sponsored militant organizations continue to grow and proliferate, such organizations will be focused on developing counter electronics to attack the electronic command and control systems of larger state-sponsored militaries. In turn, larger state-sponsored militaries will be looking to develop counter measures to prevent cyber-attacks. As the battlefield continues to evolve from invasion and defense campaigns toward surgical, and often covert strikes, demand for individual mobile electronic solutions will continue to grow. The military need for durable, sustainable and long-lasting self-contained power sources is only going to get bigger. 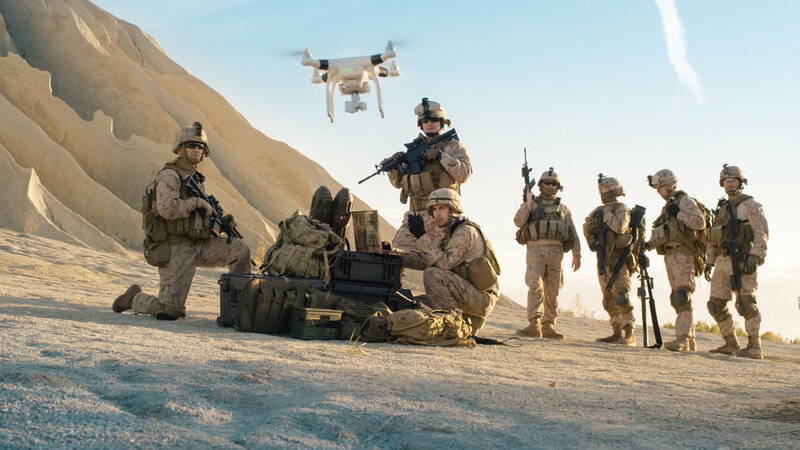 In addition to the ongoing business development efforts to partner with vendors to the US military, Alternet has engaged in a funded agreement to develop solutions in Africa. Non-state sponsored military organizations well-known in the middle east that have also masterminded notable attacks in Europe are also active in East Africa. The United States actively supports counterterrorism activities in East Africa. East African nations are both independently and with the support of the United States engaged in the battle against these well-known non-state sponsored military organizations. Alternet is actively engaged in the development of solutions that would integrate Alternet technology into systems intended to give counterterrorist forces an advantage. The engagement in Africa has the added benefit of being tangent to a separate effort to develop distribution opportunities for Alternet’s ReVolt electric motorcycle in Africa.